Name the last great puppet show you saw. And I'm not talking about Avenue Q or Hand to God or the various Muppet movies or anything else in which the idea of the puppet is as much a part of the joke as anything else. No, I'm talking about an edge-of-the-seat puppet adventure that feels like a white-knuckle thrill ride. Which is why I remain mystified by the generally positive reception accorded Jurassic World last week. I found it lackluster -- like a bloated rehash of the first film, minus the sense of amazement and despite the difference that 20-plus years means in the technology producing the images. The 70-percent-Fresh rating it received on Rotten Tomatoes included many half-hearted, hold-your-nose reviews that wound up in the Fresh column because the system offers no middle ground. 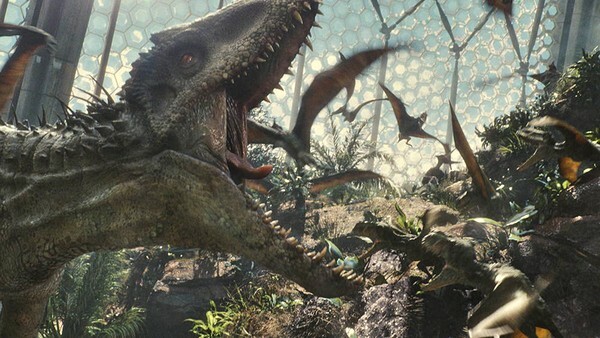 The climactic scene features a battle between very large dinosaurs while the puny humans cower at the edge of the frame and, occasionally, in close-up. Except that the dinosaurs are computer-generated fictions, without character or personality beyond whatever lazy stab the writers made at anthropomorphizing them as good or evil. Here's the thing: I don't care about who wins in a battle to the death between two CG monsters.